Charlie Saenz, an entrepreneur and recent culinary school graduate, has launched Wheels on Fire Pizza Truck: a food truck with a wood-fired pizza oven that specializes in serving sustainably-raised local food. 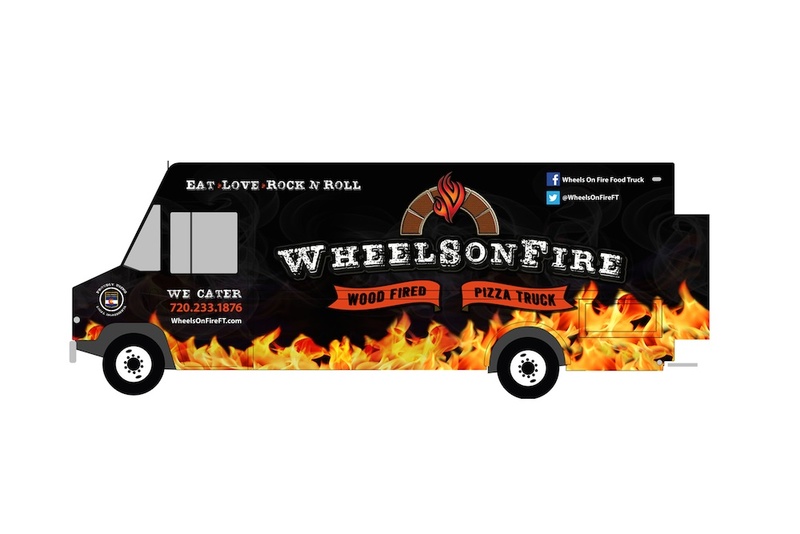 Wheels on Fire Pizza Truck is 25 feet long, with a dramatic exterior design and a state-of-the-art interior that includes a wood-fired oven fabricated by M Design of Rochester, NY. Charlie worked closely with M Design to create a truck versatile enough to produce traditional pizzas and Latin street food, like Cuban sandwiches and other specialties. The truck’s wood-fired oven is so efficient, it can bake an entire pizza in just 70 seconds. Whenever possible, Wheels on Fire Pizza Truck uses sustainably-raised natural ingredients produced by local suppliers. Charlie operates the truck with two friends he made while working in a local bistro. “We’re bringing new food options to Denver, but we’re offering low prices and decently-sized portions so we can reach a diverse audience,” said Charlie. Charlie and his team are already serving customers at food truck events and via private catering to boost local awareness before launching a crowdfunding campaign. “Backers will receive cool rewards that show our gratitude,” said Charlie. Rewards start at $25 and range up to $1,000, including perks like T-Shirts, stickers, recipes, and of course, food. Top backers may request a private cooking class or a catered party for 25 people. Whenever possible, the Wheels on Fire Pizza Truck is serving Denver with healthy, sustainable food raised by local suppliers. 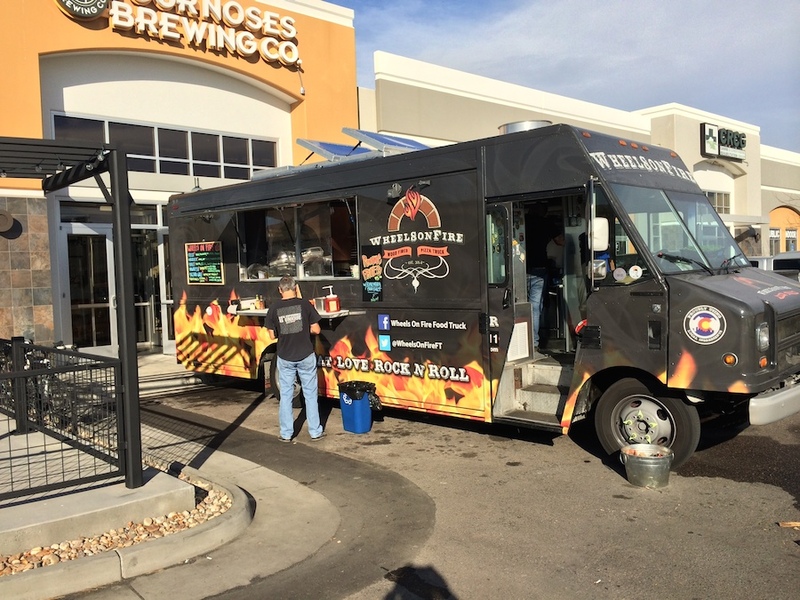 The Wheels on Fire Pizza Truck has a bold exterior design and a state-of-the-art kitchen inside. 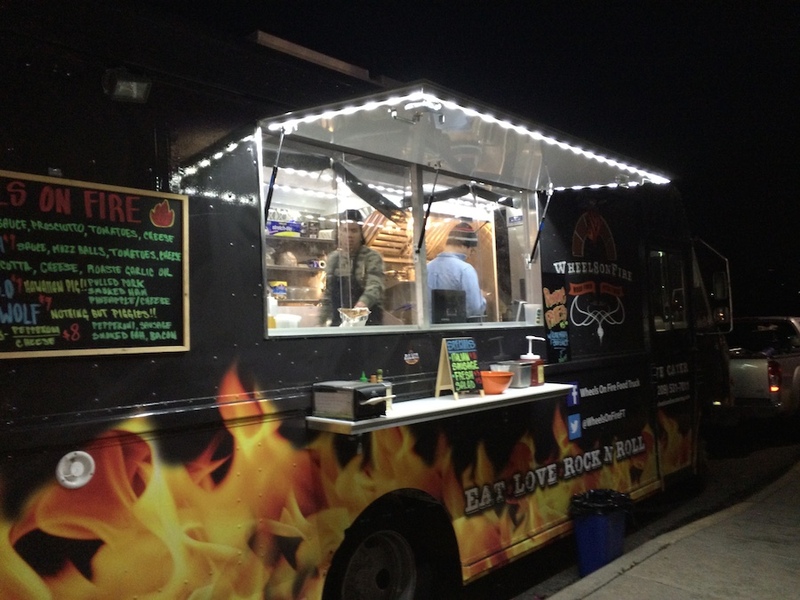 The Wheels on Fire Pizza Truck has a custom-built, wood-fired oven and a dramatic exterior design. This entry was posted in News and tagged colorado, denver, food, food truck, press release, sustainability on November 2, 2014 by yourprotagonist2.